Happy 4th of July! Well, technically, today is just the 2nd of July, but I know plenty of you will be taking tomorrow off and enjoying this patriotic holiday. Look, you know my thoughts on holiday weekends. You have heard my lectures about the importance of eating right, and how we might consider holidays something special, but our bodies don’t recognize the difference. And you definitely know my stance on sticking to your fitness goals, no matter what the rest of the world is doing. Peer pressure is no excuse, and the grind includes Fridays… Even Fridays that you might want to spend doing other things. So that’s why you might be a little surprised when I say enjoy yourself this weekend. Yes, you read that right. And yes, I’m serious! This weekend, take some time and just enjoy yourself. Treat yourself to a hot dog with some extra relish. Grab a beer while your husband or wife lights some fireworks, or roast a marshmallow on the fire with the grand kids. Treat yourself to something good while we celebrate what makes this country great. I want you to enjoy yourself, and if that means slacking a little bit from your fitness goals, then you have my permission. All I ask (and I can hear you saying “Oh great, here’s the catch!” but hear me out) is that you remember that whatever you do this weekend will be reflected in your fitness when you get back to the grind on Monday. There are repercussions to everything and we always pay our debts, one way or another. I can tell you to enjoy yourself because ultimately, what you do this weekend will effect you, not me. Fitness isn’t about guilt. It isn’t about doing what your trainer tells you to do, even though we typically know what we’re talking about. It isn’t about living up to our expectations, or even about what the scale at Boomer Fitness says. At the end of the day, your fitness is about your Physical Independence, and about what you do with it. I really want you think about this for a minute. 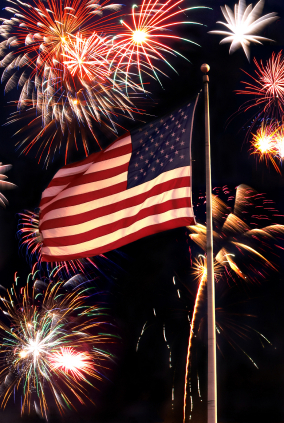 We celebrate July 4th for one major historic event: The United States declared themselves independent from the British Empire. Now when the original thirteen colonies declared themselves free, it wasn’t exactly a sure thing like it may seem today. The British weren’t just going to get up and leave, unity among the states was still in its infancy, and there was always the chance that unforeseen events could cause the whole project to come crashing down before it really started. With one slip up, the whole goal could have died before it was even born. But the rebellious colonies kept at it. They were kicked, beaten, and thrown in the mud. Hopelessness was an understatement when it came to military actions during the Revolutionary War. But they kept getting back up and giving it everything they had. There were no long weekends where Washington said “You know, I feel like kicking back instead of fighting the British.” In fact, you might recall a particular Christmas where Washington, instead of spending the day inside, decided to row across the Deleware. Can you imagine the muscles needed for that? In the end, that tenacity prevailed, and their independence was achieved. You and I are the living results of their commitment, and we celebrate their ability to reach their goal every July 4th. Now, go back and read the last few paragraphs, and see if you can find any parallels between the United States and the British compared to You and an Unhealthy Lifestyle. I sincerely want you to enjoy yourself this weekend. It isn’t every day you get to enjoy a little extra time outdoors, spent with friends and family around the Barbecue. All I ask is that when you’re enjoying yourself, remember that all actions have repercussions. Every hot dog you enjoy is going to show itself when you grab the kettle bells on Monday. Every beer you enjoy is going to rear its head when you jump on the treadmill on Monday. And every marshmallow, as harmless as it might seem at the time, is going to contribute to that wall you have to resume scaling on Monday. So instead of going all out when the fireworks are booming, maybe enjoy one beer instead of two or three. Savor that hot dog, and maybe hold off on the excessive relish. In the long run, your self control today will be a great tool in helping you achieve your fitness goals and declaring yourself Independent of unhealthy habits. Last Tuesday, I wrote a little about ways Boomer Fitness can help you stick to your fitness goals while on vacation. Even while you’re on a trip, you still have goals you want to reach, and spending a whole vacation ignoring your fitness standards is not going to be easy to make up at the gym when you come back. When you’re on vacation, make sure you enjoy yourself! After all, it’s not every day you get to spend some time exploring the Oregon Coast. And keep in mind that while you’re travelling, you can still stick to your fitness goals by making small adjustments. DO enjoy yourself – You’re on vacation! Odds are, it’s been a long time since you were able to drop everything and enjoy yourself. So get out there and make sure you make the trip a memorable one. If you have stuck to your diet, spent a lot of time at the gym, and seen improvement, go ahead and enjoy that extra drink or dessert. DON’T make yourself sick – Keep in mind that if you have been sticking to your diet and spending some meaningful time at the gym, you wont be doing yourself any favors if you splurge too much. Many foods you may have eaten before you started working out are going to immediately affect your body once you eat. Many of my clients will feel lethargic after enjoying some fast food for the first time after a few months of swearing off the stuff. A happy medium I like to recommend is making plans to enjoy a nice dinner in the middle of your vacation and then the last day of your trip. That way, you can really look forward to and enjoy your meal, without going overboard. DO take a break from the gym – As the owner of a gym, this one isn’t as painful as you might think to recommend. If you’re spending some time on vacation, don’t force yourself to go out of your way to find a gym. There are plenty of other ways to work in some exercise, and the trainers at Boomer Fitness can help you find alternatives. Besides, spending time at the gym is supposed to be an enjoyable experience. DON’T take a break from your body – Just because you might not be headed to the gym doesn’t mean you should stop all fitness. You might be taking a break from the gym on a vacation, but your body doesn’t magically “pause” its fitness. Instead of dropping everything for a solid week (or however long your vacation might be) talk to Boomer Fitness about how you can stay on the horse. We usually recommend a few workouts you can do as you wake up, and a few stretches you can do before you head off to bed. While it likely isn’t as intensive as a day in the gym, your body will thank you for not giving up on it for a whole week. DO go exploring on your own power – When you’re visiting a new place on vacation, go explore it! You’re only in the area for a short period of time, so you might as well see as much as you can while you’re there. Even if you’re just spending some time away from the office, take a day and discover Portland, or take a day trip and walk up and down the Oregon coast. DON’T sit inside – Don’t experience your vacation looking out a window, or by sitting in an easy chair all day. Go out and enjoy the outdoors! See the sights, and engage the world around you. If you’re travelling with friends, invite them to go explore with you. Go for a hike either in the countryside or through the city. Take a bicycle tour and go see the tourist spots, or go on your own and find the hidden corners no one else finds. If you’re near some water, go jump in the water and swim a few laps. However you explore, make sure you’re actively doing it. After all, being able to do all of these activities is part of the reason we exercise. Enjoy the hard work you have been doing! However you take your vacation, make sure you’re enjoying yourself. And when you come back ready to hit the gym again, Boomer Fitness will be here, ready and waiting to help you get back into the swing of things. If you missed my blog last Tuesday, I wrote a bit about why I like getting people ready for a 5k. It’s a great way to set goals, test our fitness, and succeed our prior selves. Best of all, there’s no greater feeling than crossing that finish line, knowing that you were able to accomplish what you thought was impossible mere months ago. So now you’re amped! You want to start training for a 5k, but if you have never done it before, training might be a little difficult to find a good place to start. Running long distances might be something you did a long time ago, or it might be something you have never attempted in your life. The best thing about Boomer Fitness is we take your entire history of training into account when we put together a plan for you. It’s all about realizing where you are now, planning a course of action and setting goals, and then achieving those goals through measurable time frames. Maybe you want to train for a 5k, but what if your running experience consists of a treadmill? 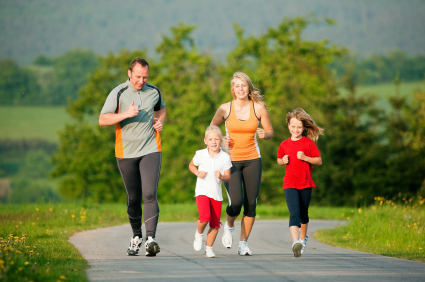 We can work around that and start with the very basics of running. Maybe you used to be a cross country running in high school, but it’s more of a recreational activity for you now. Instead of focusing on the basics, we can instead work on getting your endurance up. Training Beyond your Legs– Running is a full body exercise, and we need to make sure your body is prepped for endurance running. A lot of people make the mistake of only exercising their legs when they get ready for a run. While you’re legs are certainly going to be doing the bulk of the work, It’s vital to make sure your entire body is ready to go. After all, you’re entire self is going for the run, not just your pair of legs. Think about it this way: If you want to tune up a car, you don’t just add new tires and expect the car to drive faster. You would have to tune up the engine, the transmission, change the oil, maybe add some high-octane fuel… It’s the same idea for working on your body. Instead of just focusing on the muscles in your legs, Boomer Fitness Trainers will be focusing on your entire self. We will spend a lot of time on your legs, sure, but we will also work on your core, back, and even your arms. Goal Planning – So you want to run a 5k at the end of August? Great! Lets get started now. The sooner you start getting ready for an event, the sooner you can start making improvement. Many participants in 5ks leave training until the last minute, thinking they can cram enough training into a month, or even just a few weeks prior to the event. We have to remember that marked improvement takes a lot of time and dedication, and it isn’t something you can just cram in at the end. If you start now? You will be in a much better place come summertime than if you start mid July. Escaping the Treadmill – If you know me, you know how much I dislike constant use of bicycle machines or treadmills. Running on a treadmill is great training for a treadmill edition of a 5K, but these events aren’t done on a treadmill. They’re done outdoors! The outdoors have hills, slopes, different types of pavement, and other variables you just can’t train for on a treadmill. Our training for a 5k is going to be much more intense than just ramping up the difficulty on a machine and calling it good. We will look at getting your heart rate up, resistance training your legs, endurance building, and switching up your diet as we get closer to the race. Getting in the Right Mindset – I have said it before, and I’ll say it again: Fitness is only half physical. The other half of fitness is purely a mental state, and it’s vitally important that we get in the right frame of mind when we start. 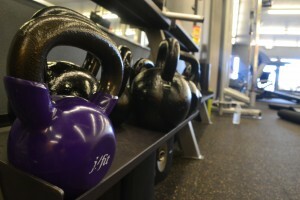 Boomer Fitness puts a huge amount of emphasis on the mental side of fitness. True, we spend a lot of time on the machines, free weights, and mats, but we also spend a lot of time talking to you. After all, it’s your fitness we are working on, so we want to make sure you’re getting the most out of your program. The hardest part about getting ready for a 5K is telling yourself that you can finish the event. It’s about starting the run and knowing that it’s not a question of if you manage to get to the finish line, but a matter of when and how you feel when you do it. I know you can do this event. I know because I’ve seen many clients make the transformation from “I can’t” to “I will.” One of my favorite moments of being a Personal Trainer is seeing you make that transformation, and I want to help you get there. Send me an email when you’re ready to make the transformation! Most fitness blogs talk about the right nutrition you need to look for in a diet plan. Most will write about the kinds of exercises you need to be focusing on to properly work your biceps, triceps, glutes, core… Any muscle you might want to focus an exercise on. My own blog features a long list of these subjects. I’ve got write-ups and videos detailing the most important nutritional aspects of any good diet. I’ve got a long list of write-ups and videos detailing various workout routines you can do at home. But how do you know that what I’m saying is true? Or for that matter, how do you know if any personal trainer is worthwhile? If you’re going to be spending a lot of time making progress with your own personal trainer, you want to make sure he or she knows what they’re talking about, not just blowing hot air. Not all personal trainers are created equal. True, we all go through rigorous training. We get certifications and credentials. We’re required to endure years of reviews, self appraisals, and tests before we begin training. But even after all this, some bad trainers still manage to slip through the cracks at larger corporate gyms. It only takes one bad apple to spoil the bunch. Assessments – I love recording data. To me, there is nothing more rewarding than seeing quantifiable results when coming to the gym. But more importantly, it is a sign of a good trainer to make assessments of your improvement. This includes the initial measurement, and standard measurements every few weeks to record change. At Boomer Fitness, we take this measurement process very seriously. The very first thing you do when starting work with a personal trainer is an assessment of your body. This gives us a baseline to judge your improvement every four weeks. During one of our assessments, we measure your range of movement, weight, diet, and even your willingness to make changes to your daily life. If it’s quantifiable, we will record it. Want a quick telltale whether a personal trainer is measuring you? See if they’re carrying a clipboard with them through the gym. If they’re not, they aren’t measuring nearly as much as a trainer should be. Planning and Setting Goals – One of the most important aspects of heading to the gym is having a goal for the future. Without a goal, we don’t have a direction to align ourselves toward, or a rudder to steer us. With a goal, we know where we will be in 3 months time. A good trainer knows how important planning is, and will sit down with you in the beginning of your fitness regimen to help you plan your future. At Boomer Fitness, we always discuss goals as a part of our initial assessment. When we know where you want to be down the road, we begin planning out 4 week milestones to gauge your success factors. No matter how well trained we are or how sophisticated the gym equipment is, we cannot make progress without a game plan. Integration of Training and Nutrition – Exercise alone does not get you results. You can spend hours each week at the gym, but if you don’t make the change to your diet as well, your time is going to make little to no change on your lifestyle. A good diet will ensure you’re getting the nutrition you need, without excessive sugars or carbs that usually are found in unhealthy diets. Good trainers know the relation between nutrition and fitness, and create dietary plans as well as fitness plans. 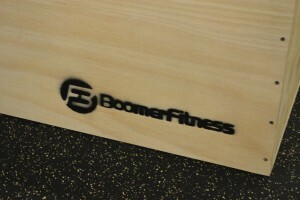 Trainers at Boomer Fitness don’t stop their work when you leave the gym. We make sure we outline a dietary plan to accompany your total fitness plan. This way, your fitness plan will be the most effective at helping you reach your goals. This isn’t even half of the traits found in good trainers. Be sure to check my blog next week for more traits you want to look for when choosing a Personal Trainer, and all the traits you will find at Boomer Fitness. And when you’re ready to make a healthy change with some of the best personal trainers around, contact us for more information! Mental Fortitude: The Other Side of Personal Fitness. Well, it’s coming up to the end of January, the first real road bump of our scheduled resolutions. January 1st, we got to the gym determined to hit the ground running, cycling, lifting, and kettlebelling. We throw out the cookies and bring in the kale, swear off the beer and grab some protein mixture. 2015 is going to be great! Stop! Put the drink down. You’re right, you have been good all week. Now let’s make it another good week. It’s important to remember that Fitness isn’t just a physical exercise; it’s just as much a mental one! You can go to the gym every single week, but unless you’ve got the Mental Fortitude to keep yourself on track with your fitness goals, you’re just wasting gas. Mental Fortitude is a common barrier when we’re entering the fitness barrier. We set a goal of looking like Mr. Universe, and expect ourselves to reach that goal by this coming Thursday, 9AM. But come Thursday, we don’t seem to have changed at all. It can get disheartening. Set Realistic, Timely Goals. I have some unfortunate news: You’re not going to look like Schwarzenegger this month. Probably not next month, either. And you know what? That’s ok! Instead of holding yourself to these far-flung goals, get yourself up to smaller, more reasonable goals that are attainable. Maybe try jogging a half mile this month. When you hit that goal, lets get to a full mile the month after that. Keep up that pace, and you’re running a 5k in 6 months. Be Reasonably Diligent. Been hitting the gym hard this week? Lets take it easy and keep it to cardio tonight. Working at 100% capacity every single day can start to wear out your body and mentally burn you out. Push yourself to reach your goals, but make sure you also pace yourself. Pat Yourself on the Back. Did you spend an extra 20 minutes on the bicycle today? High Five! No matter how fast you were going on that bike, you still lapped the version of you who decided to stop 20 minutes ago. Recognize that what you’re doing is making a difference, no matter how small the increments might be. Mix it Up. Doing the same three workouts over and over again will really work those 3 sets of muscles. But what about the other 650 muscles in your body? Keep it interesting and mix up your workout routine to get the whole body into it. Besides, doing new things keeps the gym interesting, not monotonous. Get Some Support. Lets face it, working out alone gets lonely. Getting some outside support not only helps pass the time, but helps you push yourself farther than you might on your own. A supportive network is just as important, if not more so, than the most high-tech workout equipment in the world. Is it going to take some time? Yes. Is it going to be difficult? Of course. And is it going to be worth the hard work when you hit those goals? Yes. Want to take another step in the right direction? Talk to us about signing up with a personal trainer. Not only are we a friendly support network you need, we’ve got the knowledge and foresight to help you reach the physical goals while keeping up the Mental Fortitude. 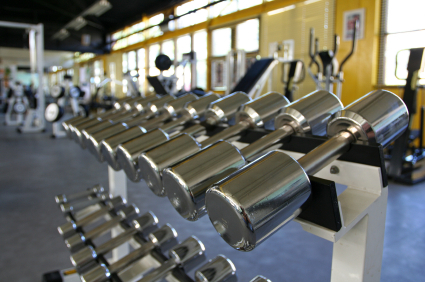 Give me a call, and we’ll set you up with a tour of the gym! Now that you know all about cardio exercise and how great it is at helping you to burn fat and lose excess weight, it’s time to talk to you about weight training and its benefits. As a personal trainer, I help people to get the balance right when it comes to combining cardio exercise with anaerobic exercise such as weight training. As you know, there are many activities that come under the banner of anaerobic exercise, but for the purposes of today’s blog article, I’m focusing on weight training. Put simply, weight training is a type of strength training. It involves exercises that help us to increase our muscles and ultimately, our physical strength by using weights. Although cardio exercise will burn more calories than weight training, by getting the muscles working as well as the heart and lungs, you will reach your weight loss goals faster – and improve your health in the process. For every extra pound of muscle you gain, your body will burn an additional 50 calories every single day of the week: The more muscle you gain through weight training, the more calories you will burn. Regular weight training can increase your Basal Metabolic Rate by up to 15%: If you were to burn 2500 calories per day, weight training on a regular basis can help you burn an extra 375 calories per day. That’s more than a chocolate bar – every day! Weight training has many health benefits: Research has proven that weight training helps improve your resting metabolism, blood pressure, gastrointestinal transit time, reduces body fat and positively affects insulin resistance. It also reduces the likelihood of you suffering from heart disease, diabetes and cancer. In other words, the muscle will help you keep the weight off and keep you healthier. To enjoy the benefits of weight training, I recommend just three 30 – 50 minute weight sessions per week. This is in line with what ACE has found. For more advice on how to introduce weight training into your week, feel free to drop me a line! Let us know what you think!